EminencEdu is initiated with the aim of serving the community by providing the counselling to the students at national and international level, immigration, legal and process consultation to the individuals who wish to settle abroad. Our experts proved themselves in their area of domain to provide such services to the community with the dedication and efficiency. EminencEdu focuses on the areas of Education Counselling to the students, Overseas Education Counselling, Immigration Consultation, Legal Consultation and Process Management. We ensure that our clients get proper guidance related to their career streams and we provide personalized help for working professionals for the opportunities abroad. When most of our clients log on to www.eminencedu.com they do sign up for newsletter to ensure the regular updates from us, irrespective of the services they render. We provide the satisfaction to our clients by guiding them the right path as per their requirements. We have successfully achieved our targets of building the workforce who will guide and provide the counselling to the people regarding their career options or moving abroad and we hope that we continue to provide such services in an optimized manner. Ramit is a Project Management graduate from one of the reputed institutions in Toronto, Ontario, Canada. He provides the consultancy in the areas of business, education, career and international migration with the help of some psychometric techniques. His serving approach towards the community made him work towards his vision of helping people in the most important aspect of their life that is career. Ramit is currently working at “EminencEdu” as a Process Manager/Legal Consultant. 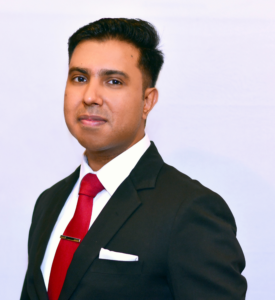 His expertise and experience in consultancy, international migration, process management and legal matters provides a creative solution to the clients. Chitvan is Bachelors of Technology graduate in the field of Computer Science from Guru Gobind Singh Indraprastha University. She poses the skills related to Analysis, Business Development and Management. She is passionate about guiding the right career options to the community through the analysis skills. Chitvan works with one of the major Information Technology giants of The United States of America. She provides major assistance and helps in providing the creative solution of the complexities faced in India and abroad. She has more than 4 years of analysis experience in the field of Business, International Migration and Information Technology and she proved herself in all areas of domain. 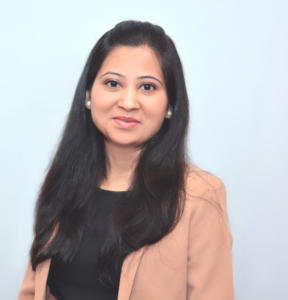 Chitvan is working as a Managing Director at “EminencEdu” and delegating her expertise for the betterment of people in a community so that they can accomplish their foreign dream.